Yes. You read that title correctly. 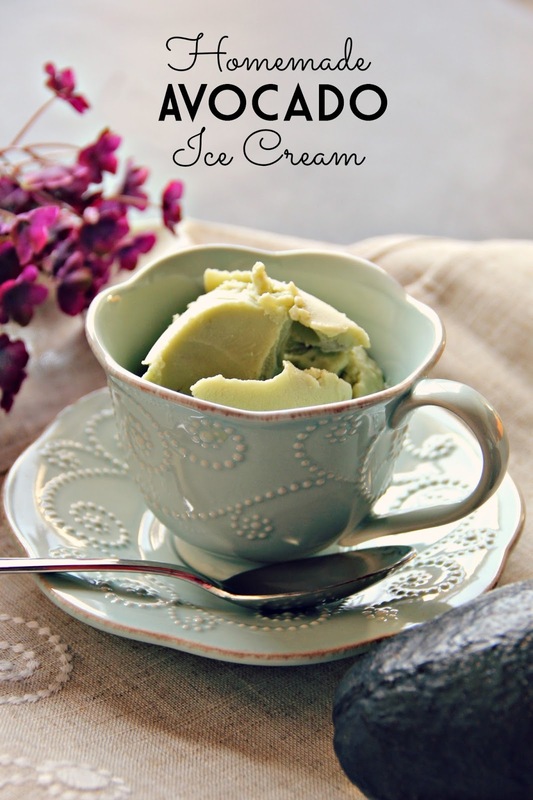 This deliciously sweet and vibrantly green ice cream is made with real avocados. Lately, Jeremy and I have been on a bit of an avocado kick. We're relatively late to this party, but we've started putting avocados on just about everything... tacos, salads, sandwiches, and now ice cream. 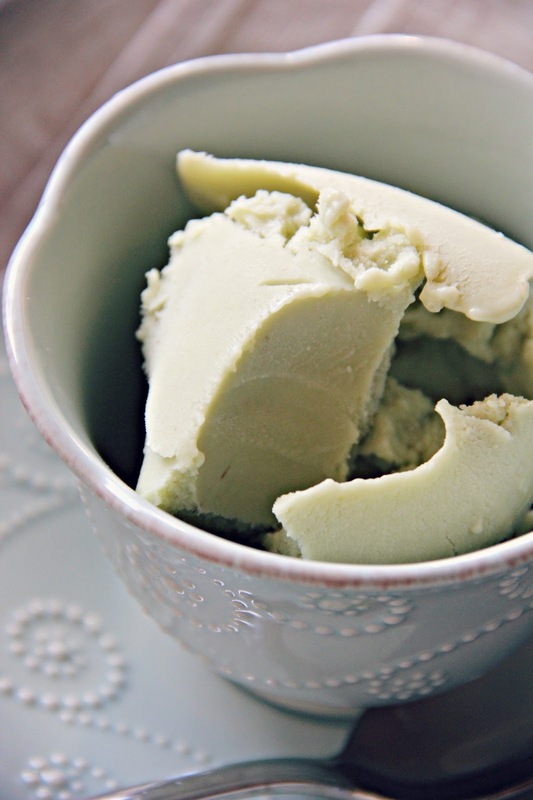 We were watching an old episode of Good Eats and Alton Brown made some avocado ice cream. We knew we had to try this! I'll be honest, I was a little bit scared to take the first bite. The last thing I wanted was for my ice cream to taste like a salad but I was pleasantly surprised! It does taste like avocados but in a completely surprising and delicious way. It's sweet and creamy and definitely refreshing. This will be something we make again. That's definitely a new one. I love avocados, so why not?! Thanks for sharing this! Isn't Alton Brown such a mad genius?! I've never heard of this before, but if Alton likes it, I'm in haha. I bet the bit of lemon definitely makes it taste great, too. This looks so good! Definitely trying it! that sounds insane and also ridiculously yummy all at the same time. i'm going to try it because i absolutely love avocado chocolate pudding. This sounds really interesting, but in a good way! I love avocado so I definitely want to try!